I thought a racket weighing 160 would feel really heavy, but it didn’t. It was actually a great racket, well balanced and fun to use. It had some flexibility in the shaft, which made it feel to me like an attacking racket — which was a surprise for a head-heavy, large-headed racket. I’ve used various Tecnifibres 125s, 130s etc. I had a Blast which I’d picked up from a friend and it sat idle for months. 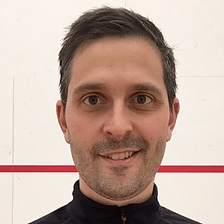 I had a hit with the factory set up and it felt a bit dead – very tight strings although the swing feeling was great and as others have said, it didnt feel as heavy as advertised. As an experiment I got it restrung with Ashaway Supernick XL at 20 lbs and it’s amazing! All the power you could want and my short game has improved as well. Got an identical one made up straight away and they ‘re now my go to rackets. I know it’s a very personal thing but works for me! Both rackets weigh in at less than 170g all up so not over heavy. It seems a customize Tecnifibre Suprem SB. 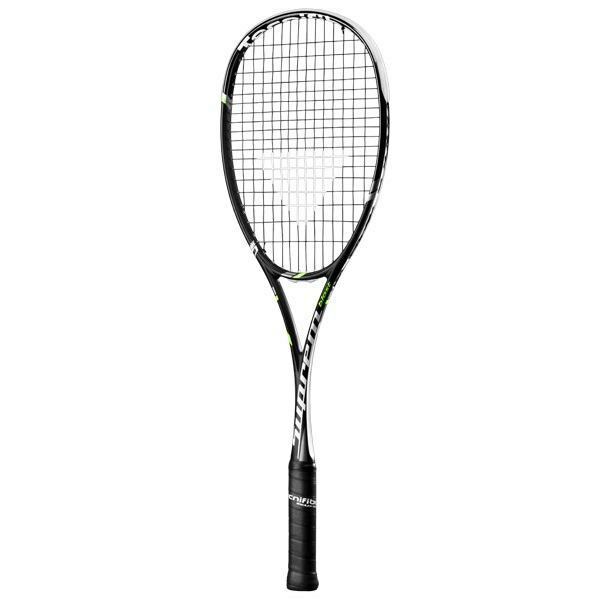 I am thinking about ordering the Technifibre Suprem Blast squash racket since I like a bit heavier rackets, but I would like to know its true strung weight. Did you or has anybody else weighed it with factory strings and grip? The specs say a frame weight of 160 grams which would mean a strung weight of about 180 grams which is very very heavy, but you said it doesn’t feel that heavy at all. I contacted PDH and they claim it weighed 170 grams strung without the cardboard on top, that’s not THAT heavy in fact. It is only 10 grams on the factory claimed frame weight, normally you can add about 20 grams. In comparison My Carboflex 135 weighs 158 grams (+23g), my Salming Fusione 152 grams (+30g), my ex yellow Black Knight X-force ion was 165 grams (+25g), my ex Dunlop Apex Force was 168 grams (+48g), my ex Wilson HyperHammer 120 was 155 grams (+35g), my friends Dunlop Pro Gts was 161 grams (+31g). Funny how the claimed factory weights are all over the place compared to the true weight. That’s very interesting. I bought a Carboflex 130s, but thought it was very heavy compared to my Carboflex 125, so I thought I’d weigh them to make sure. Carboflex 130S in factory condition (minus cardboard) was 164g, Carboflex 125, with new grip but original strings was 145g. Pierre, with this in mind, is it possible to get more actual strung weights of each racket written with the description. Obviously there’ll be some variance, but it would really help with comparisons. I’ve thought about this and I personally believe that the Carboflexes might all, straight off, be the same racket only with different paint job and sub-brand 125, 130… so that they can price them differently. Another possibility is that when a batch of, say 5000 rackets are produced, and if the average weight off the batch is below or above 130g they brand them as a 125 or 135 respectively. There are without a doubt small differences in the braiding process that occur in the manufacturing at the factory, that can explain the difference in weight between the rackets. This would mean that one single batch could contain rackets with relatively significant weight differences. The Suprem 160 is probably also exactly the same racket as the Suprem 135, but maybe comes from a slightly heavier batch. basically only difference is in sub-branding and price. I used to play with Dunlop Apex rackets and the actual true weight of those rackets were all over the place. They could be from low 150 all the way to 170, even though the specs said 120g frame weight. I got myself a scale and I’m starting to measure the actual weight of rackets whenever I do a review of one. I didn’t get a chance to measure the Suprem 160 at the time. I will add Niklas’s measurements into the various posts (thanks Niklas). 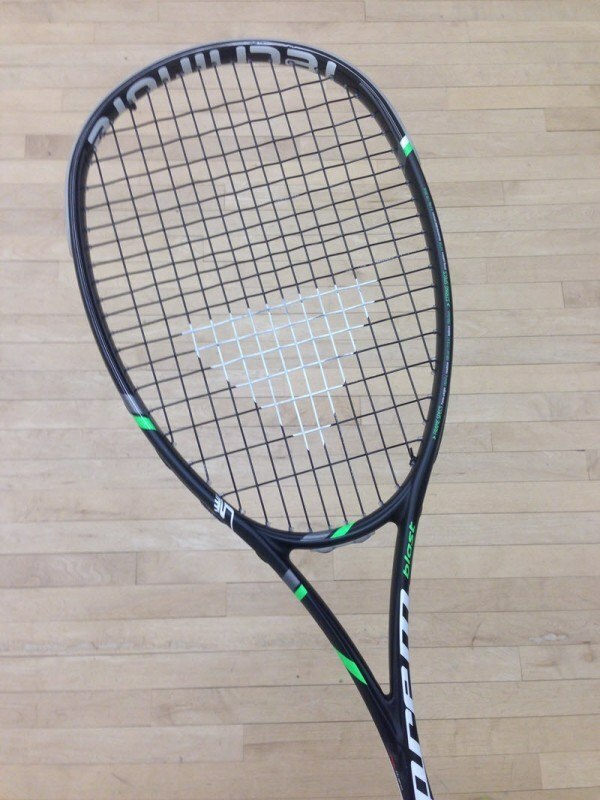 I am thinking in buy this racquet. How its the feel, the sweat spot and power of this racquet. The price tag is good, around 50 pound in UK.